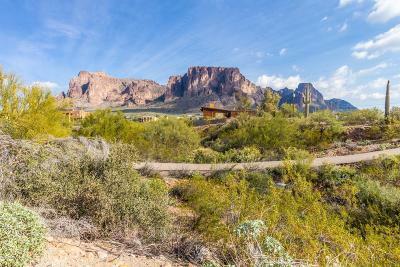 A touch of Paradise coupled with magnificence and tranquility awaits you. 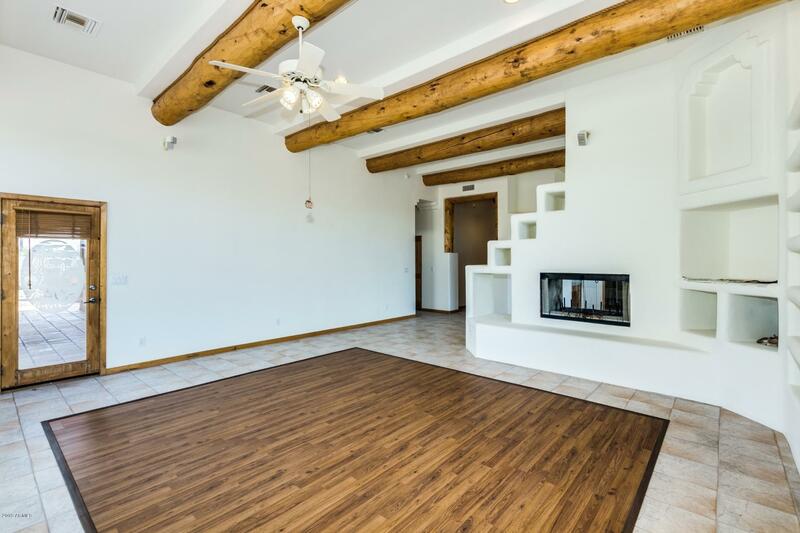 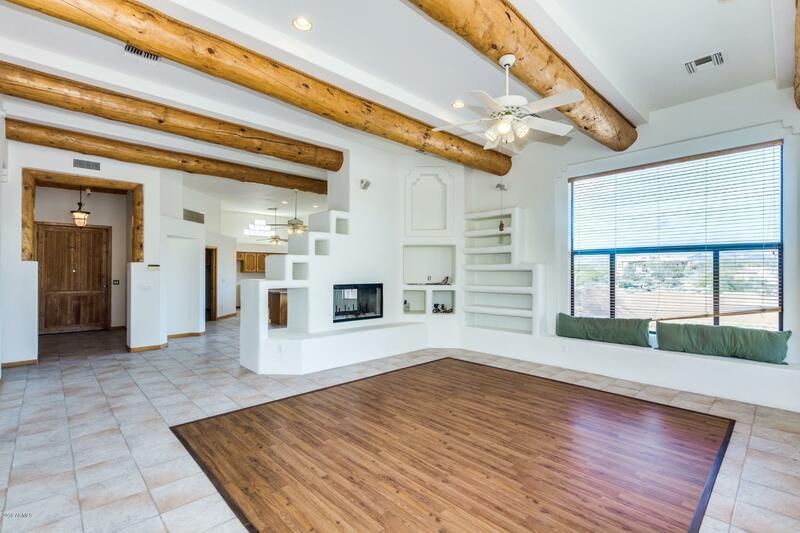 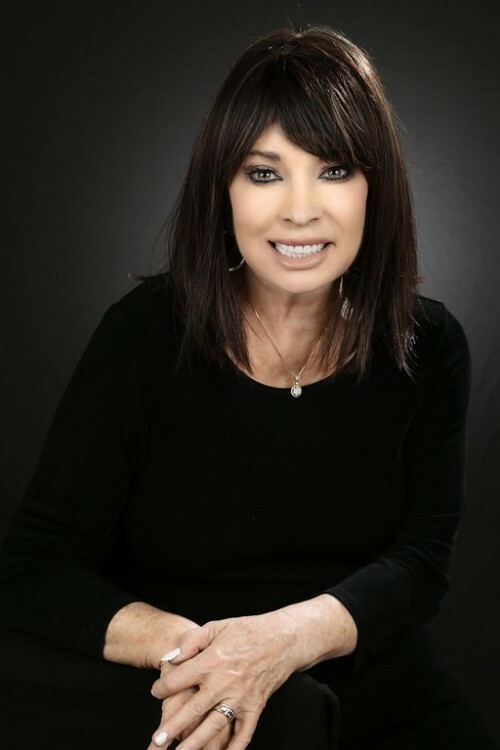 When you enter this three bed two bath spectacular custom home your buyer will be captivated by the high ceilings,custom wall niches and large wooden beams . 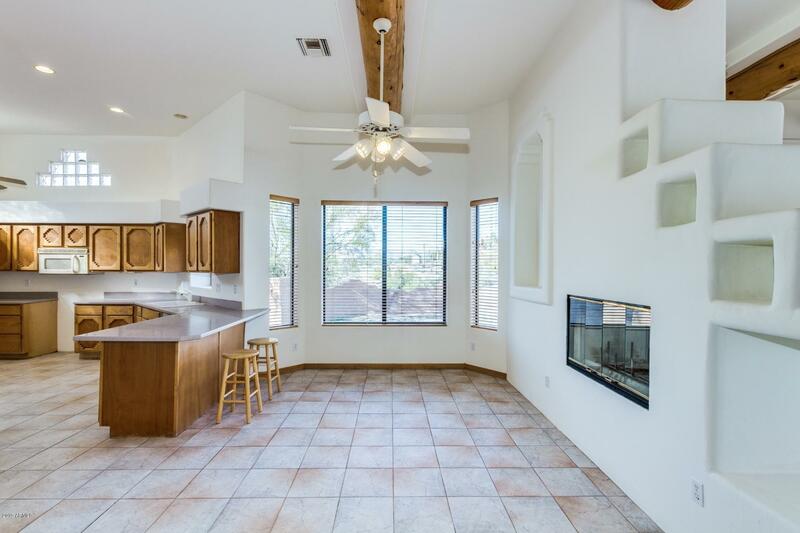 A two way wood burning fireplace adjoins the kitchen and family room is a delight for those cool days & chilling desert nights. Beautiful Custom kitchen cabinets & wall niches are perfect for the chef who likes to show off their culinary skills. 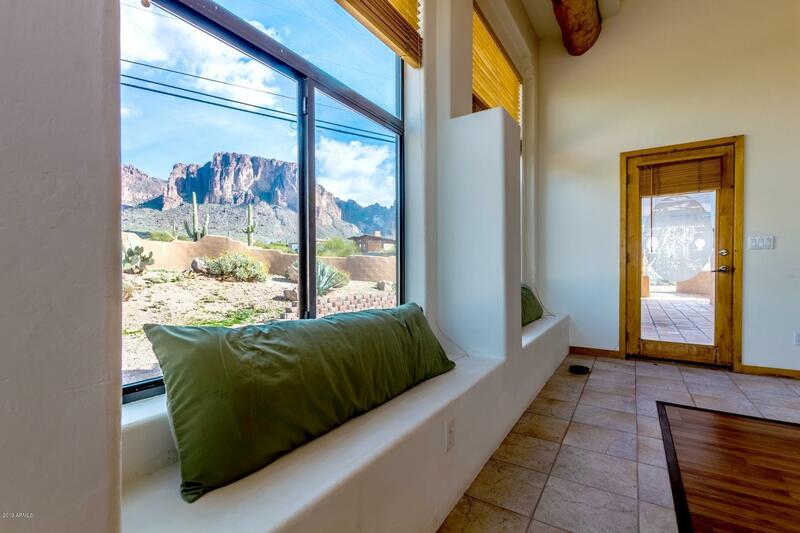 The master bedroom is equipped with an exterior door that leads to back patio. 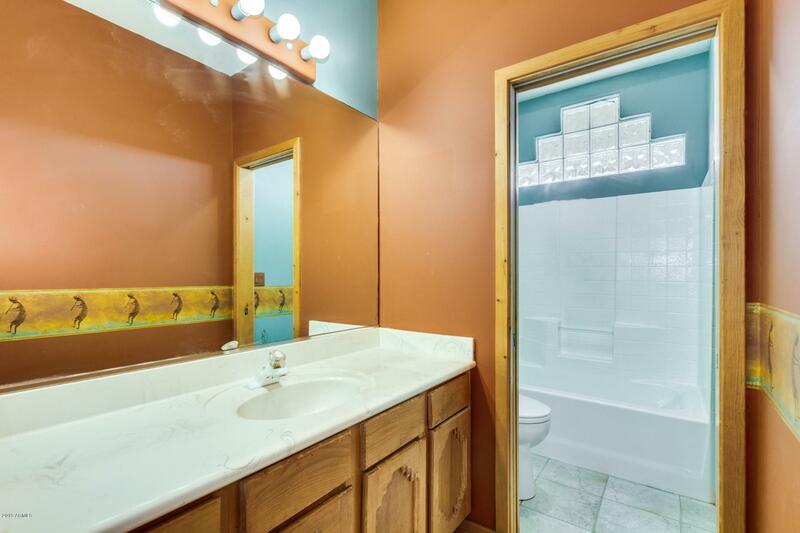 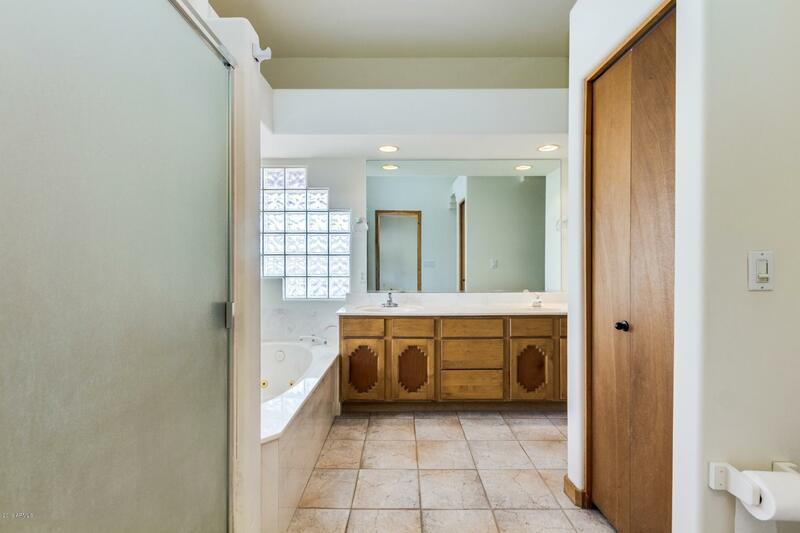 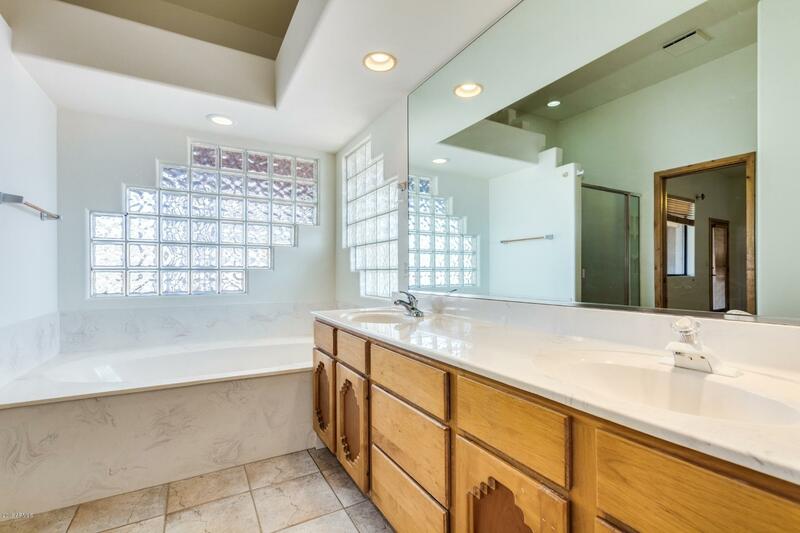 Master bath has a separate Jacuzzi tub and shower. 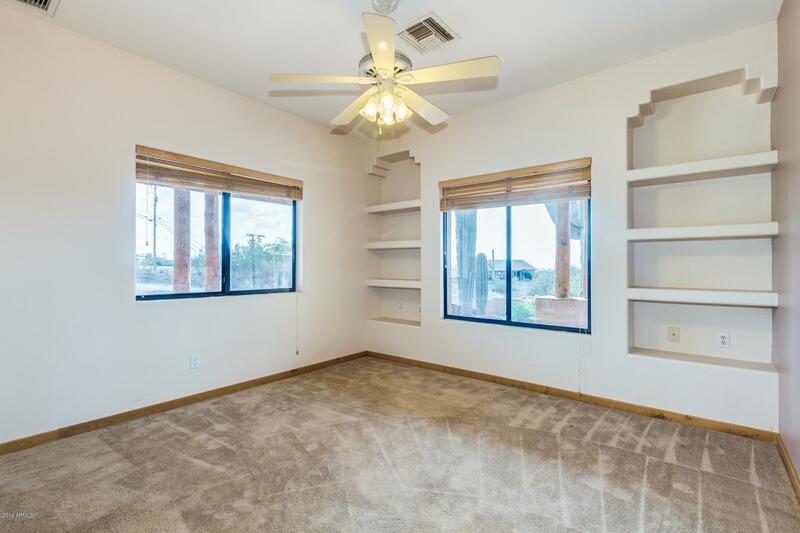 All bedrooms have custom wall niches. 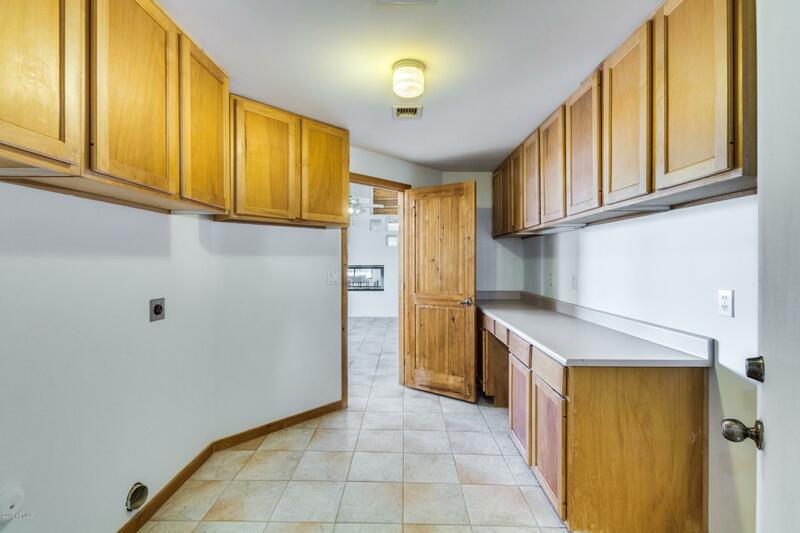 Designer cabinets in garage . 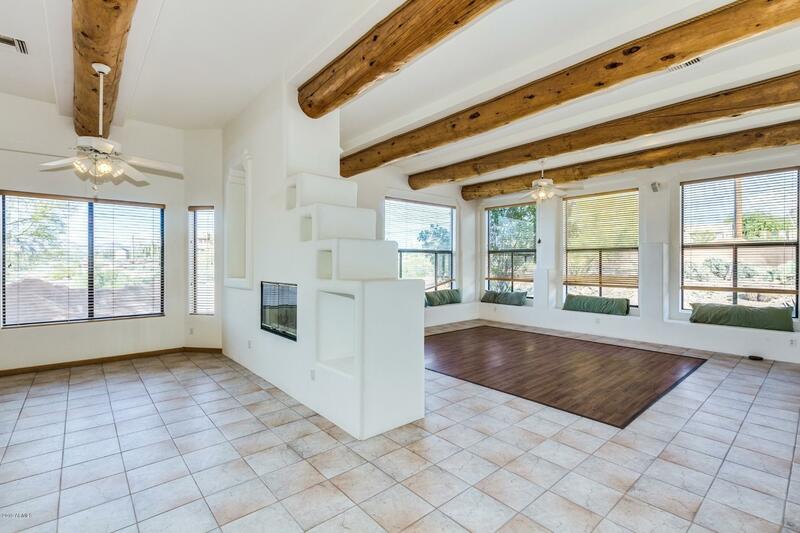 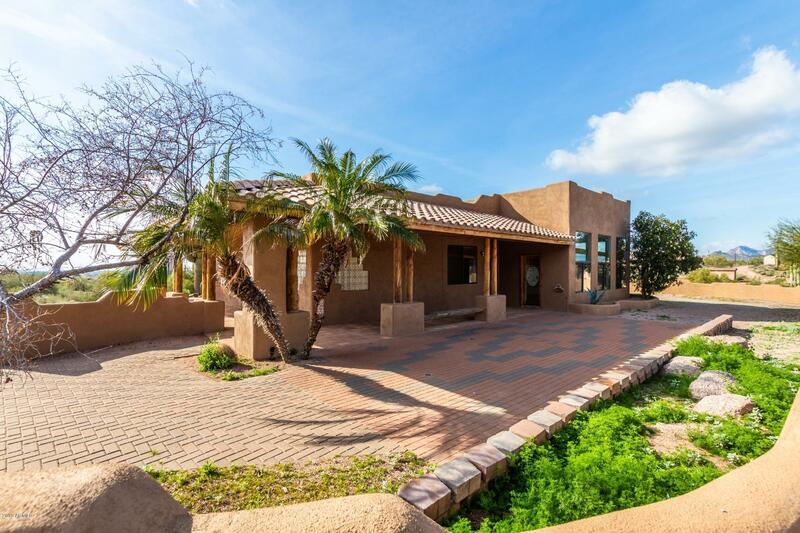 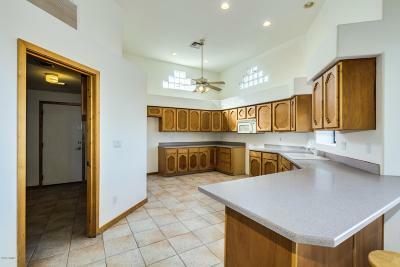 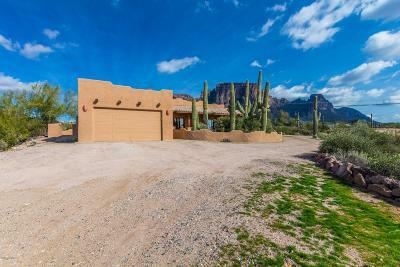 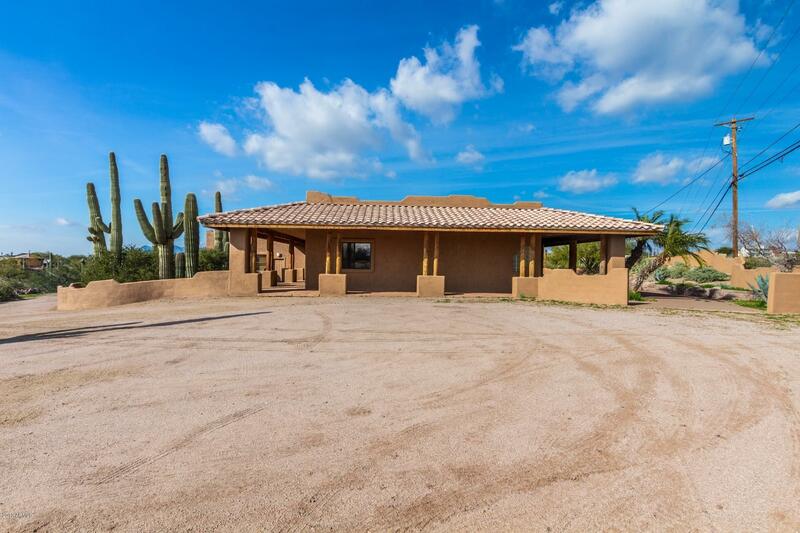 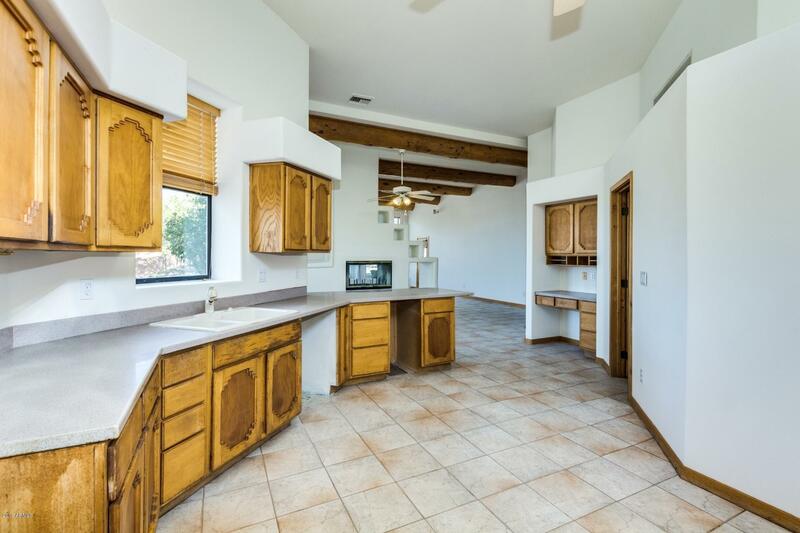 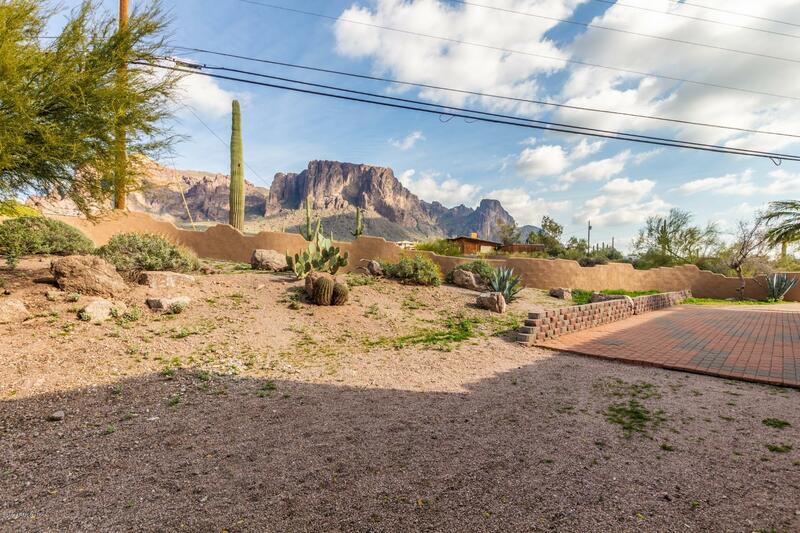 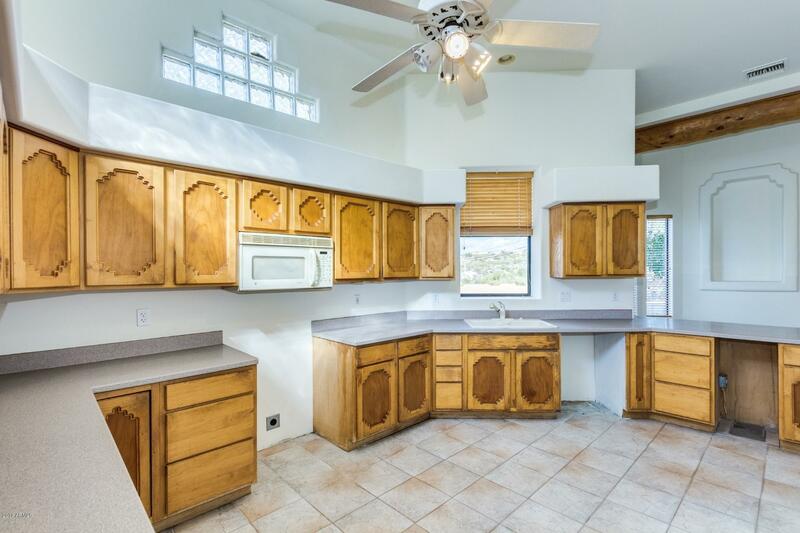 This home has Magnificent views of the Superstition mountains and city lights.